Take me out to the Dodgers, and buy me some peanuts and…nachos verde? Yep, it’s the start of another season at Dodger Stadium and it’s time once again for the new lineup of food to enjoy with the family while cheering on the Dodgers. 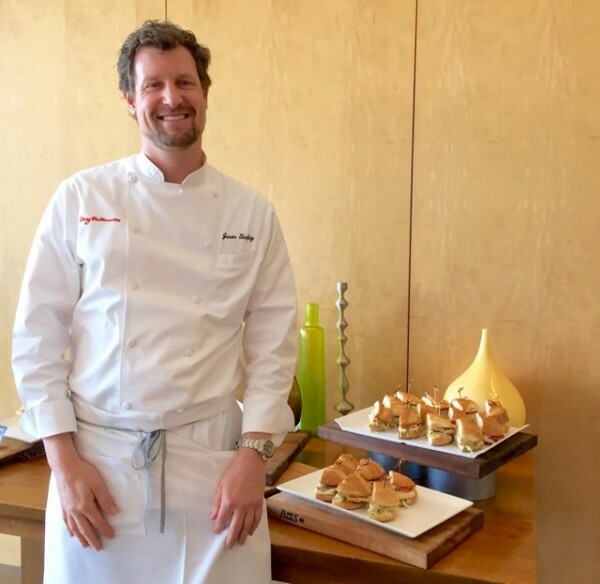 We had a chance to get our annual update from Dodger Stadium Executive Chef Jason Tingley and he gave us the full scoop on what’s new at the ballpark. 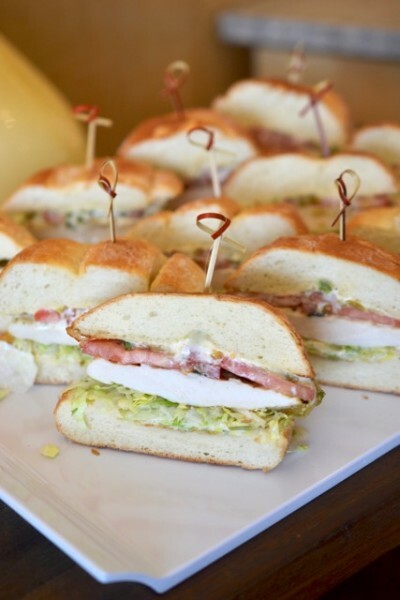 One of the top highlights on this year’s menu is the Chicken Verde Sandwich, which is part of the Dodgers’ Healthy Park Program that offers healthier foods like salads and sandwiches along with fresh veggies. The new sandwich is made with grilled chicken breast on telera bread with jalapeno aioli, lettuce, tomato, and tomatillo verde sauce. It’s the perfect balance of light and hearty with an extra “kick.” You can find these sandwiches at the Healthy Cart P420, P738; at AMPM 201; Marketplace 205; and the stand at 420. Also good news for the gluten-free crowd is the new Specialty Nachos Verde: crispy tortilla chips with tomatillo verde sauce, pickled jalapenos, and cotija queso. It’s a hearty, crispy treat with all the flavors you’d want in a really good nacho bowl. It will be served at locations to be announced. For your high-end dining pleasure, this year you can get a Gouda Kobe Burger, which is a 1/3 pound premium American wagyu “Kobe” beef patty, topped with caramelized onions, pickles, and thousand island dressing. This decadent and crazy-good burger is available at Elysian Park Grill 222, 223, 422, 747, and 748. 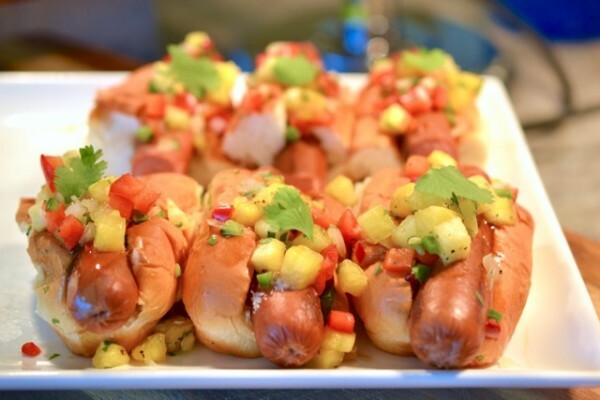 Other new items include the King’s Hawaiian Dog (reflecting the Dodgers’ new partnership with King’s Hawaiian), which is an all-beef quarter-pound dog topped with pineapple salsa and served on a King’s Hawaiian bun. These dogs join the Extreme Loaded Dogs lineup, which you can find at 248, 421, and 736. There’s also a Shock Top Bratwurst – a spicy pork bratwurst infused with Shock Top beer, served on a buttered and grilled lobster roll with caramelized onions and spicy brown mustard – available at Think Blue BBQ 251 (grill area only). And if you’re sharing your meal with a friend, you can grab a new Smoked BBQ Wings Bundle – 15 smoked chicken wings with BBQ sauce, served with fries, veggie sticks, and two soft drinks – also available at Think Blue BBQ 251. Do you have other special food needs? If you’re gluten-free, there is a special gluten-free cart with gluten-free hot dogs, snacks, and beer at Loge 132. Need a veggie dog? Look for them at Left Field Pavilion 307, Field 9, Loge 106, 155, 156, and Reserve 23, 24. And if you need kosher options, they’re available on select nights during the season. Visit Jeff’s Gourmet in the right field plaza on July 28 and 29; August 2, 10, 11, 12, 13, 16, 30, and 31; and September 1, 2, 20, 21, and 24. In celebration of Jewish Community Day on Sunday, August 30 Jeff’s Gourmet Kosher Cart will also be available in the Reserve Level Section 37. What else is on tap for family fun? There will be two summer movie nights: July 9 (Top Gun) and August 13 (Ferris Bueller’s Day Off). There’s also a series of special event ticket packages (you must buy from the ticket packages to get the giveaway), such as Yoga Day on June 5 with a Dodgers yoga mat and access to a postgame yoga session on the field; Girl Scout Family Day on July 10 with a Girl Scout/Dodgers patch and a pregame parade; and even Star Wars Night on July 29 with a co-branded Star War/Dodgers item giveaway – just to name a few. 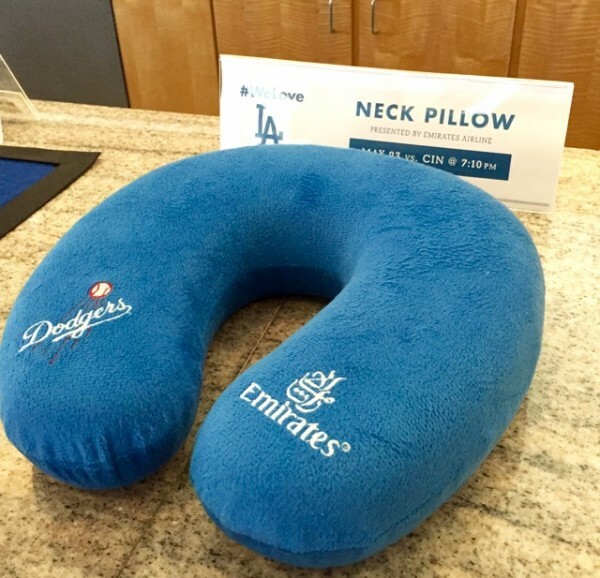 There are also a bunch of fun promotional items to be given away, including a fleece blanket (April 27), Justin Turner chia pet (April 30), kids’ batting gloves (May 15), neck pillow (May 23), kids’ locker nameplate (July 6), and of course bobbleheads throughout the season. Also, while you’re at the stadium with your family, there’s a great option if the kids need a break from the game. At the kids’ play area on the reserve level, grownups can get refreshments or continue to watch the game on TV screens while kids play on the open playground. 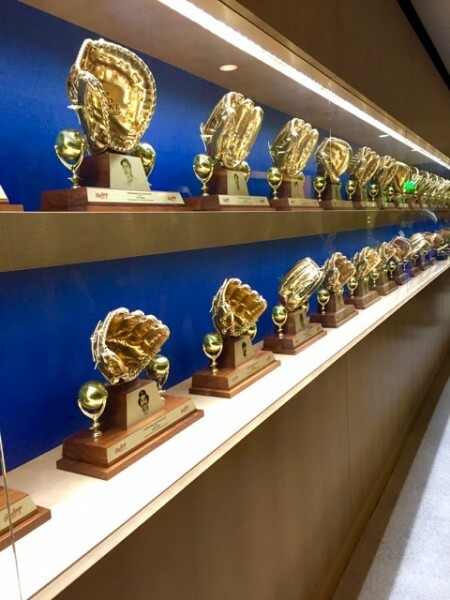 And last but not least, because we’re suckers for numbers, here’s a little Dodgers trivia that we learned on a tour of Dodger Stadium. 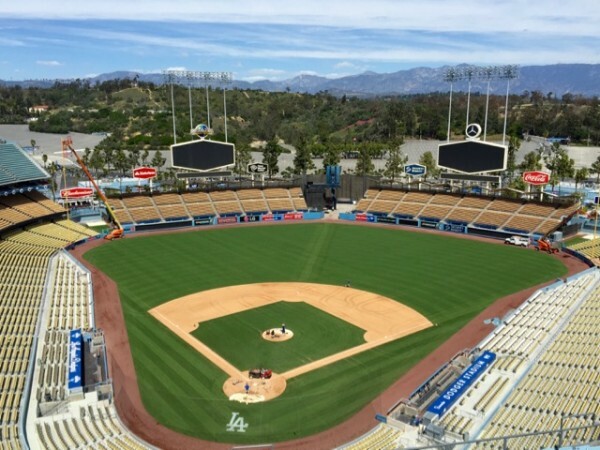 Dodger Stadium has housed a total of 158.4 million fans since 1962, with more than 3.7 million total in 2015 (average attendance per game, 46,479). And in 2015, the Dodgers served more than 1.5 million Dodger Dogs – that’s a lot of dogs (and a lot of buns)! Why are they called the Dodgers? Back when the team was in Brooklyn, in the late 19th century, people had to move fast to stay out of the way of Brooklyn’s new-fangled and fast-moving electric trolley cars, so the team was named the “Trolley Dodgers.” The nickname was later shortened to “Dodgers” – and it stuck – but the team remains the only baseball team to be essentially named after its fans, who “dodged” the trolleys to get to the game safely. 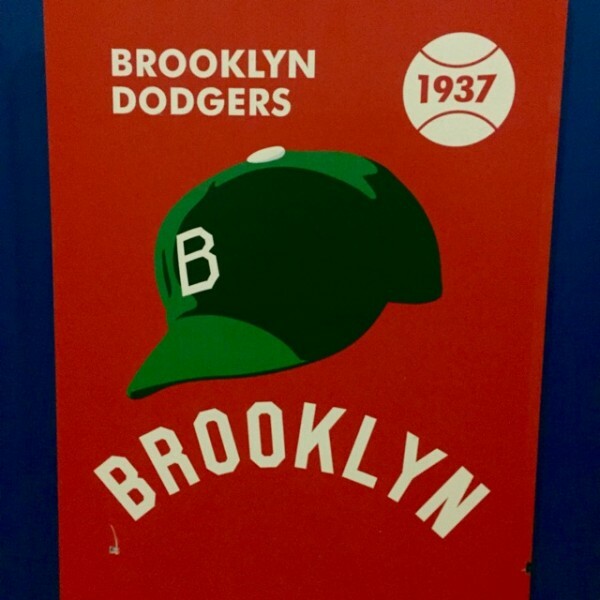 And here’s one last piece of mind-blowing Dodger trivia: Although we cheer for “Blue” there was actually one year – 1937 – when the Dodgers were green. Go…Green?!?! Impossible! Seems almost like a St. Patrick’s Day prank. 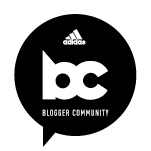 But fortunately the team regained its senses, went back to blue the following year, and never looked back. 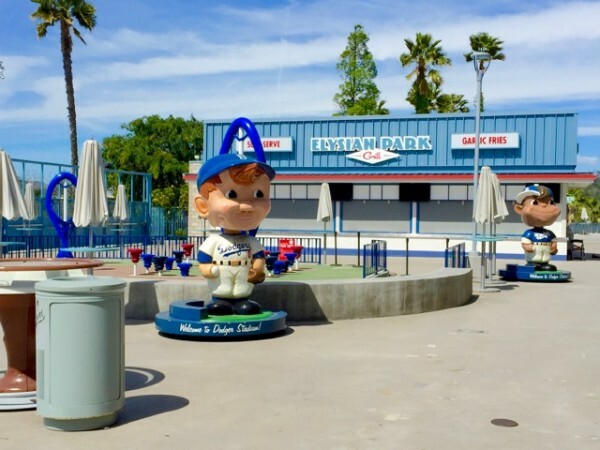 So go cheer on your (blue) Dodgers this summer, explore the stadium, and enjoy all the good food there is to offer. Go Blue! 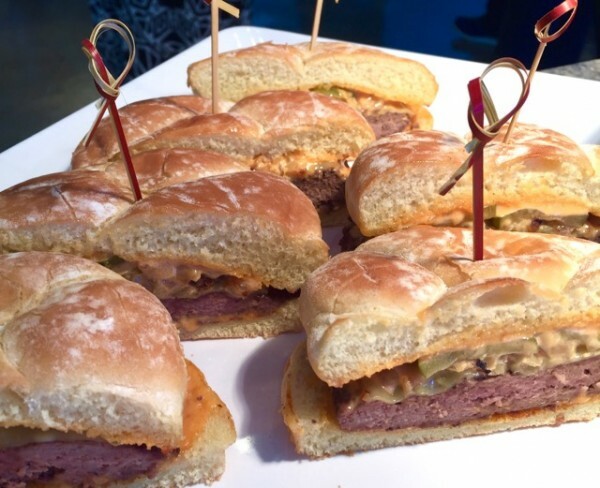 Blogger disclosure: I was invited to sample new menu options and take a tour of Dodger Stadium. I did not receive compensation for this post. All opinions expressed are my own.